The government of the state of Israel has used the EU decision on mandatory labelling of goods from the Occupied Territories, as an excuse to abort any peace initiatives from Europe or any UN member state. 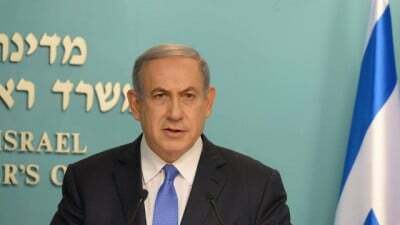 In a clear move to further his aim of a Greater Israel, ethnically cleansed of all indigenous Arab communities, Binyamin Netanyahu is in danger of not only losing Israel its primary export market but also the receipt of millions of euros in research and development aid. In his refusal to dismantle all illegal settlements in the West Bank and East Jerusalem, Netanyahu is playing a dangerous game that could see Israel revert to being just another insignificant Mediterranean state dependent on US aid and arms for survival. But that support is by no means guaranteed as Israel’s geo­political significance dramatically weakens in favour or more stable and economically successful states such as the UAE which has now become strategically far more important. Already, the huge American military supply base at Jebel Ali port, in Dubai, is vital to satisfying the whole US armed forces requirement in the Middle East.